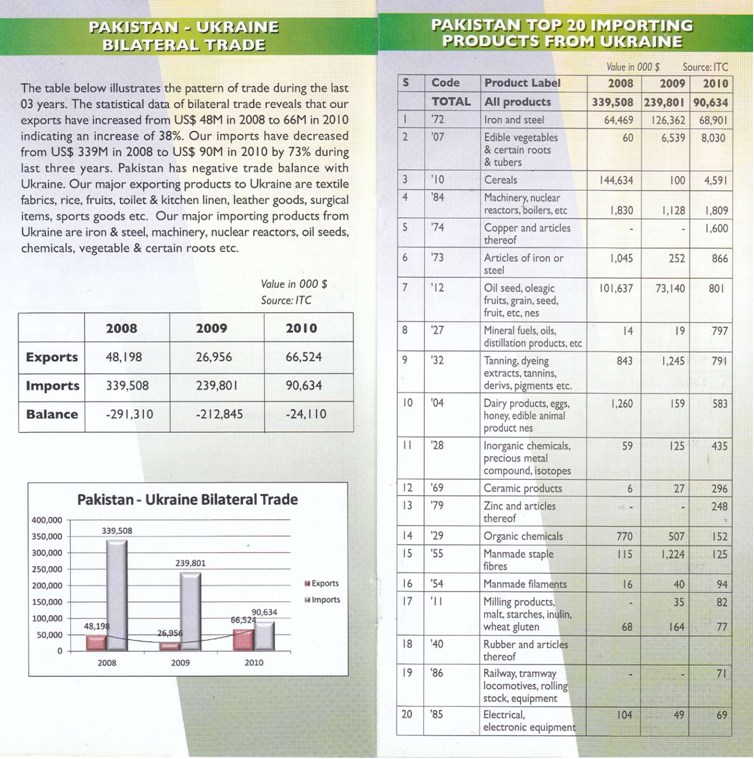 8th of December 2011 was held Ukrainian-Pakistani Business Forum, which called first high-level forum. Despite the strong statements, conference hall was half empty, and the bulk of those attendants was Pakistan delegation by themselves. This delegation is different from others because they are very serious people and big players. They not only want to sell the Ukraine, but (and that is very important) to buy and invest. Here you have the clue. Ready to buy - metal (steel long products), copper plates, coal, manufactured goods. Ready to sell: textiles, fabrics, clothing, carpets, leather goods, footballs, sports goods, food, rice, and various tropical fruits, spare parts for automobiles, electric and gas devices, surgical instruments. 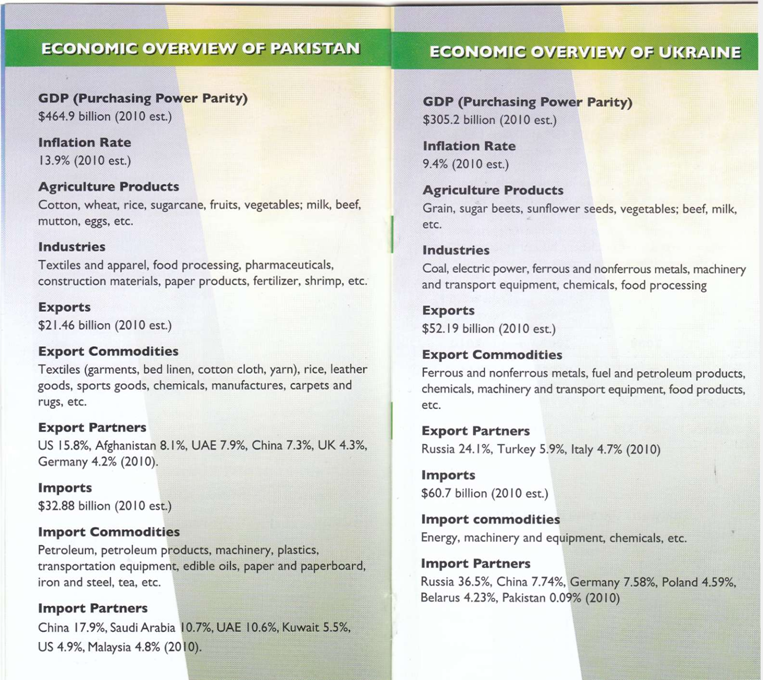 Yearn for cooperation in the energy sector, offer joint development of oil and gas in Pakistan. 1. F. Rabbi Steel (Pvt.) Lt, Steel Products. 2. Siddiqsons Ltd, Denim Fabric & Tin Plates. 3. Herbion Pakistan (Pvt) Ltd, Herbal Medicines. 4. Qaim Automotive Mfg(Pvt) Ltd, Exporters of Auto parts and Filters & Importers of Steel & Steel Product. 5. Abdul Rehman Corp (Pvt) Ltd, Home Textile & Institutional linen. 7. Hi-Rose Corporation, Surgical & Dental instruments. 8. Lucid Industries, Lane, Sports goods. 9. Roshan Enterprises, Fruits and Vegetables. 10. 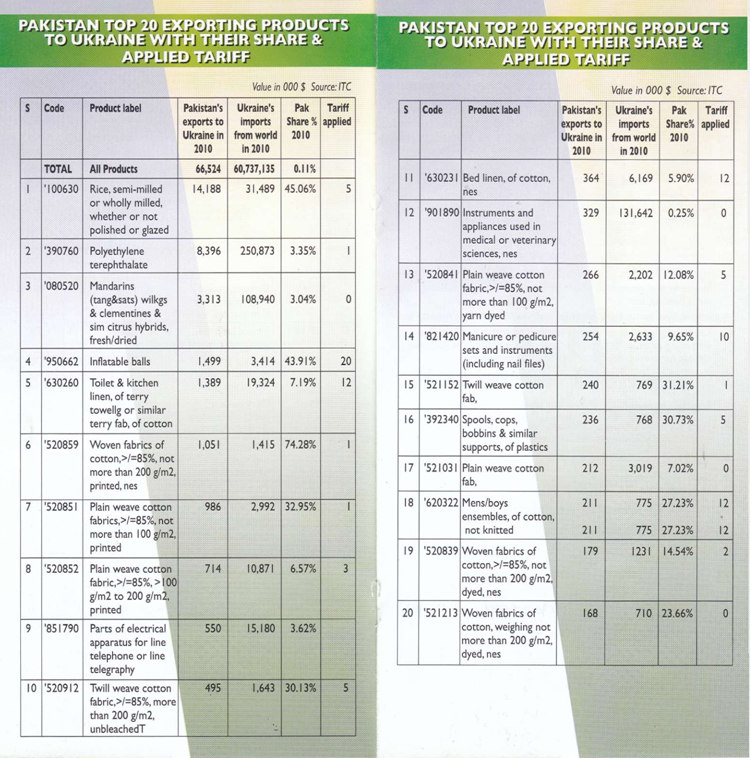 Iftekhar Ahmed & C, Fruits and Vegetables. 11. F.A. INTERNATIONAL, Fruits & Vegetables. 12. Vision Group of Companies Vision House, Main Barki Road, Lahore, Pakistan, General trading and importer of construction related items. 13. Services Industries Limited, Footwear. 14. Atlas Foods (Pvt.) Ltd, Rice. 18. Tabani Group, Exporter of general trading & importer of industrial goods & machineries. 19. 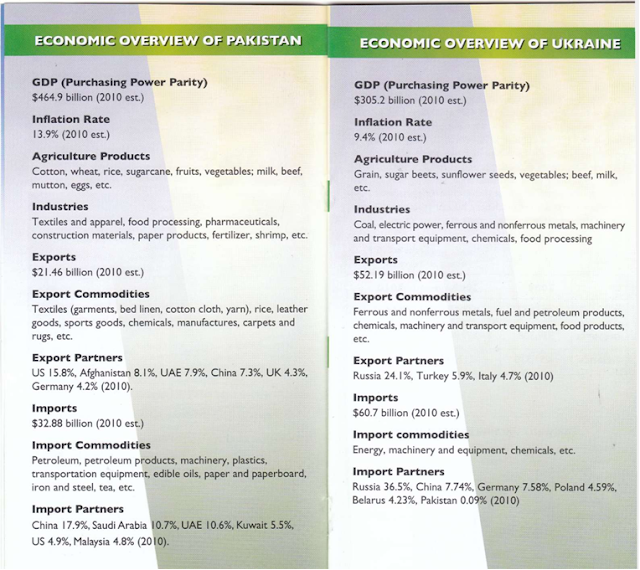 Eastern Energy Pvt Ltd, Cooperation in exploring oil & gas resources of Pakistan, import of motors and industrial machinery, export of food product. 20. Best Exports (Pvt) Ltd, Textile products including bed linen, table linen and other items of all kind in 100% grey, bleached, dyed & printed cotton fabrics. 21. Integrated Textiles Network, Textile fabrics, Made-ups. 22. Two Star Pakistan Limited, Exporter of Citrus Fruits, Fresh Mandarin (Kinnow). 23. Al-FATAH INDUSTRIES, Manufacturer & exporter of electric and gas appliances. 24. Shahraj Fabrics (Pvt) Ltd, Exporter of fashion wear and uniform. 25. Mumtazmehel Corporation, Importer of coal steel coils and sun flower meals. 26. Al- Nazeer Nippon Chemicals, Adhesives / Sealants / Glues and Epoxy. 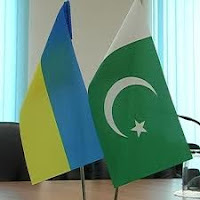 What do we know about mutual cooperation between Ukraine and the Islamic Republic of Pakistan?